THE NATURAL HAVEN: Something New! I love the science work but I have recently started receiving a few emails which I don't think are about science but really about courage and self esteem. Some snippets for you. Q: Is there a way to change my hair texture, I have very coarse hair. Q: I want my hair to grow quickly. I am tired of looking like a boy. Q: I have been natural for 5 years but I have never worn my hair out. I think my curls don't really look normal. I've tried many things from coconut oil (from your blog) to henna, to conditioner. My hair does not change, it always becomes dry and fuzzy. 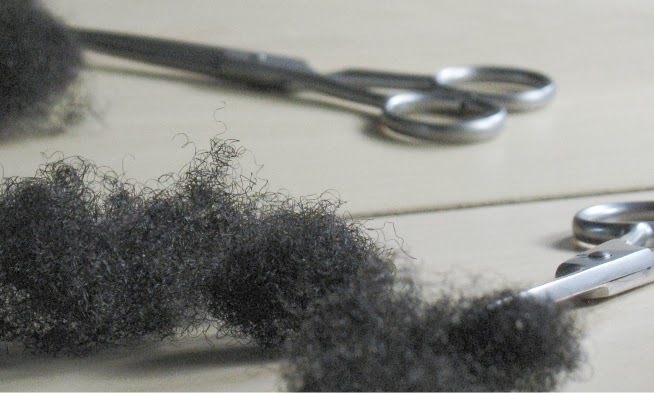 Comment left on the blog - Can you change the shape of the hair follicle so that hair grows straight? I am therefore going to take on some of these questions by giving my own reflection on what can be useful. These are going to be pure opinion pieces, no science just the view through my rose tinted glasses. 2. A new poll with another set of questions for you to decide which you would like answered. I can't wait for you to answer the question about genetics and hair growth. I was actually just about to send you a question on that right now because I have been wondering if it is possible for some people to be genetically wired in such a way that they cannot grow long hair. Nice. I like the idea.